1. TSL-MP6 specially designed for military RCIED disposal, Briefcase Jammer is a wide-band portable jamming system, designed for the protection of VIP's and groups of people from radio controlled improvised explosion by disabling the radio exploder control lines in dangerous areas and for the prevention of leakage of information through intercepting units during confidential talks. Briefcase Jammer transmits RF interference and creates a "Radio Frequency Protected Zone" around the object that prevents remote controlled bomb activation by various RF means in its vicinity with a sufficient jamming safety radius, in order to save lives and prevent serious injuries. Briefcase Jammers are also deployed to guard forces in the field, Dignitaries and VIP's, checkpoint and border rossings, roadblocks, Embassies, Police and Government offices etc. Briefcase Jammer are available in various models as per the frequency and output power. However these jammers can be customized as per the user requirements. 2. 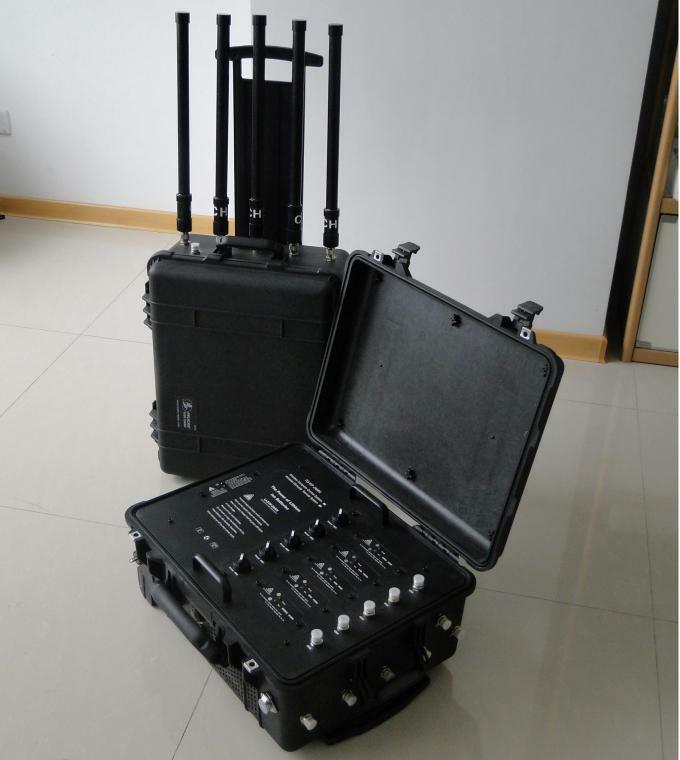 High Power Frequency Scan Convoy Jamming System, implementing the most effective and reliable RF jammer technology and equipped with a fully-integrated broadband jamming system; Highly portable and light weight. It plays an important role to use the heavily loaded vehicle in some extreme hard situation. The jammer can operate its specially designed 8dBi high-gain antenna. 1. 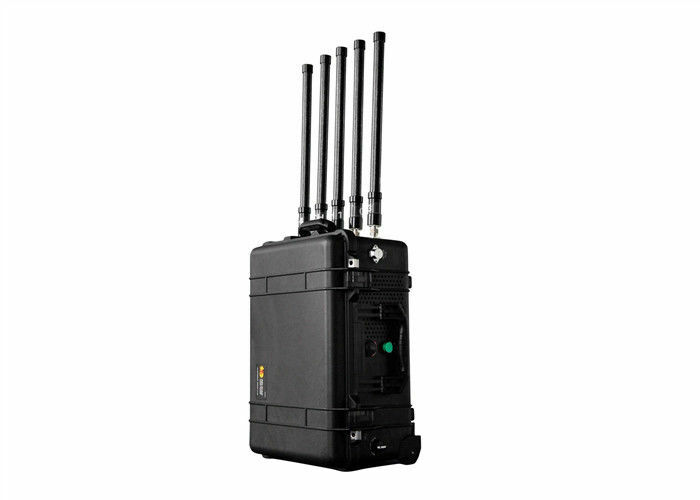 High-power Manpack multi-band RF signal jammer. 3. Jam up to SIX different jamming modules. 4. Max 300 watt total RF output power. 5. Systematic Smart Cooling System. 6. 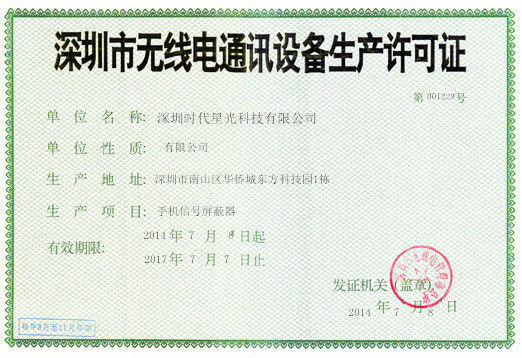 The general design of the system meets military requirements. 7. Frequency bands and output power selectable. 12. Power Amplifiers protection design ensures the working reliabity of the device. 13. 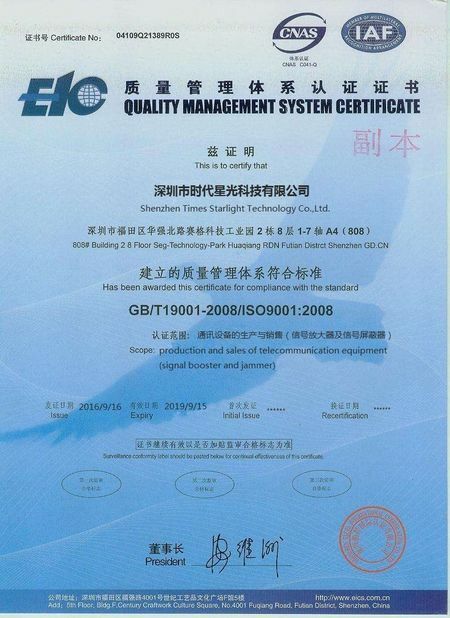 Can customize AM, FM, VHF, UHF, 450MHz, iDEN, CDMA, GSM, GPRS, DCS, PCS, AWS, WCDMA, 4G 700, 4G 800, LTE 2300, LTE 2600, GPS, WIFI, WIMAX, etc. 5. Police used for VVIP convoy, anti drug, riot control, etc. 6. Military used for border control, etc. 6. Jamming longer range, about 20 to 200 meters, depend on local signals strength. 7. Best quality Pelican case, waterproof, dust proof, damage proof. 9. Friendly Accessories box to pack all accessories in one case.